We’ve been making a lot of slime recipes, but today, I thought we’d take a break from slime and try making a play dough instead! Peeps are a love it or hate it food, and my family is firmly in the hate-to-eat-it camp, but we do love the adorable shapes! Bunny Peeps are our favorite. 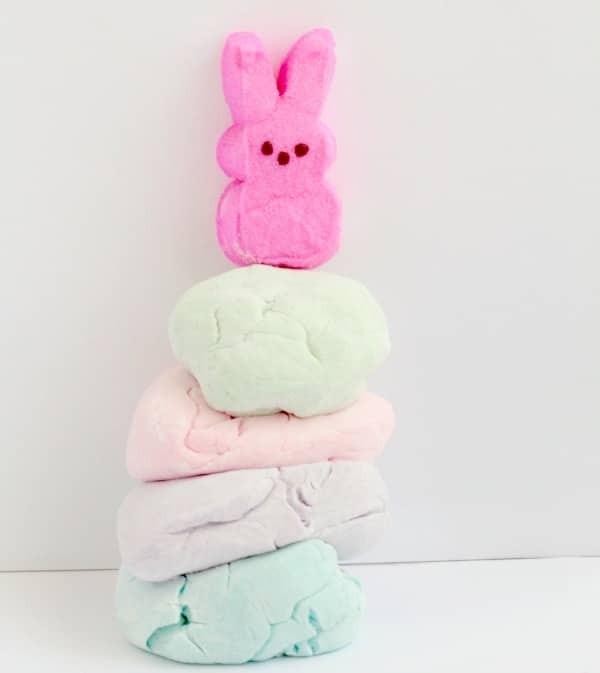 For this Peeps STEM activity, I transformed our Peeps into a soft, smooth, and edible Peeps playdough recipe that was a lot of fun for my kids to play with. If you add less starch to your mixture, you can even transform this into Peeps slime if you want something a little messier to play with. 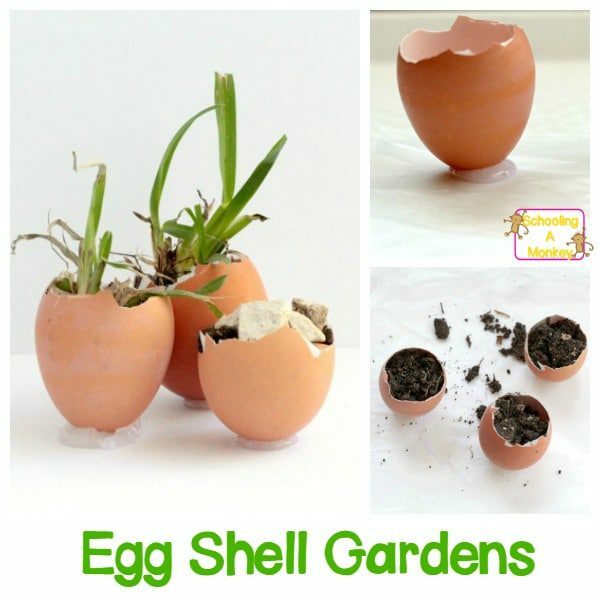 This Easter STEM activity will be a hit with every kid! 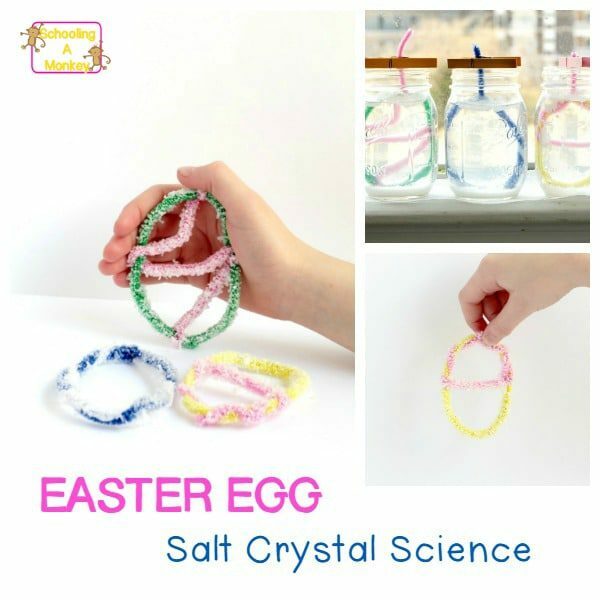 If you would like more fun Easter activities, try making salt crystal Easter eggs, rainbow rubber eggs, or bunny tail slime! 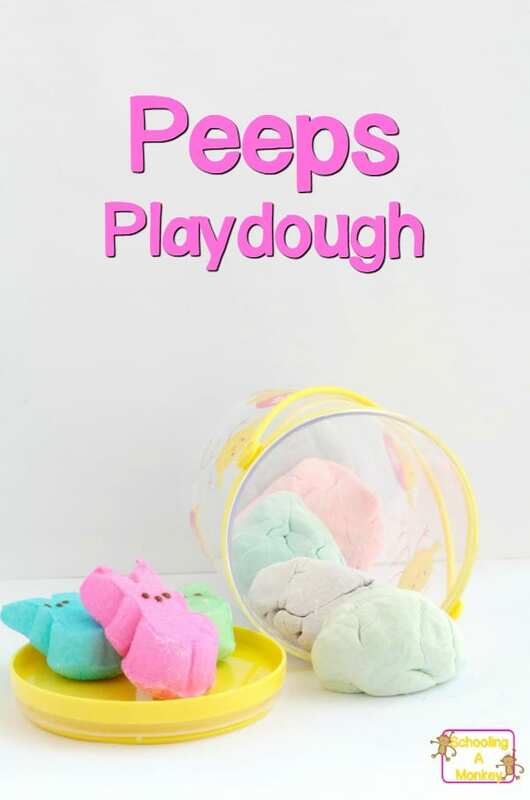 Find out how to make your Easter Peeps playdough here! A Peeps STEM activity is an activity that children can do that include elements of science, technology, engineering, and math. Any STEM activity helps children exercise creative thinking, logical thinking, problem solving, and hands-on math. STEM activities are a wonderful way to help children learn how to solve problems using the themes they are learning in school. With the Peeps play dough activity, children are provided with a sensory experience that encourages them to think about the materials around us in a new way. 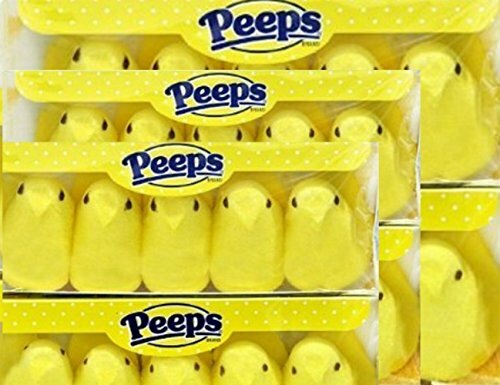 WHY DO PEEPS STEM ACTIVITIES? You certainly don’t have to use Peeps in your STEM activities. But I like to use Peeps in our Easter STEM activities for several reasons. My kids aren’t big fans of eating Peeps, but somehow we end up with a bunch anyway. So one year, we started using them in our science experiments, which were a bit hit with the kids. Now, we do at least one Peeps science experiment or Peeps STEM activity each year and it is something the kids look forward to every year. 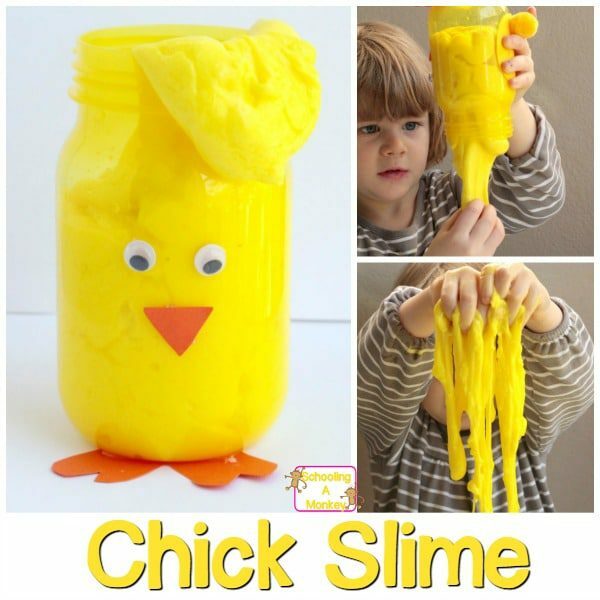 When Easter rolls around, there are tons of Peeps STEM and STEAM activities you can do in the classroom and at home! 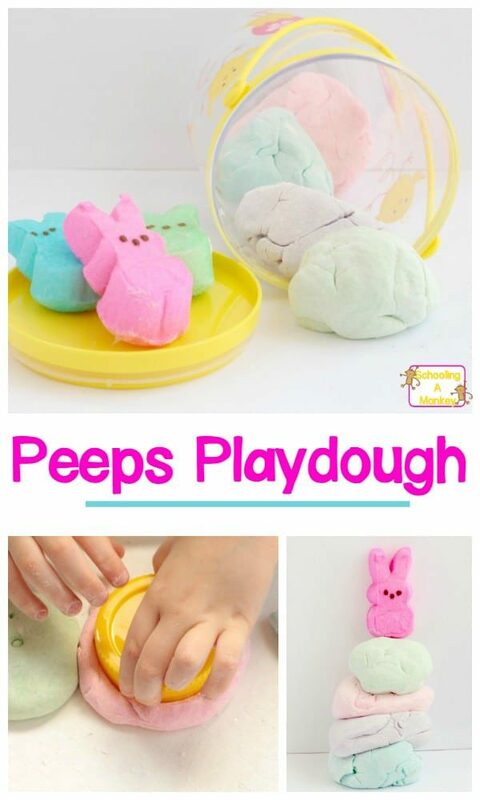 WHY MAKE PLAYDOUGH WITH PEEPS? With the Peeps playdough activity, you can teach a lot! 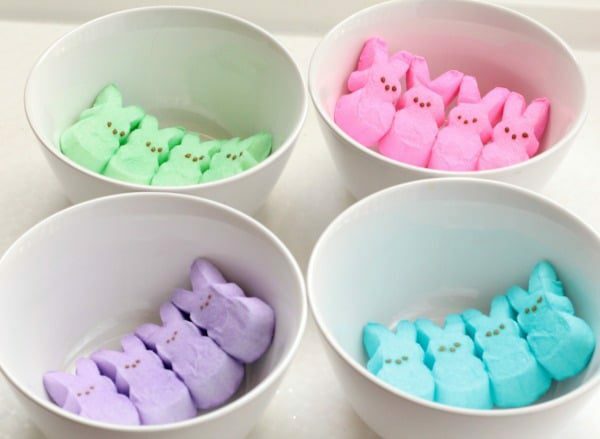 Science: How does heating the Peeps change their properties? Technology: What tools do you use to change Peeps into play dough? Engineering: What recipe is required to transform Peeps into play dough? Math: How much corn starch is needed to turn Peeps into playdough? How long do the marshmallows have to be heated? What happens if you cook them too long or too little? Use our STEM challenge worksheet to make your Peeps engineering activities a complete STEM activity. 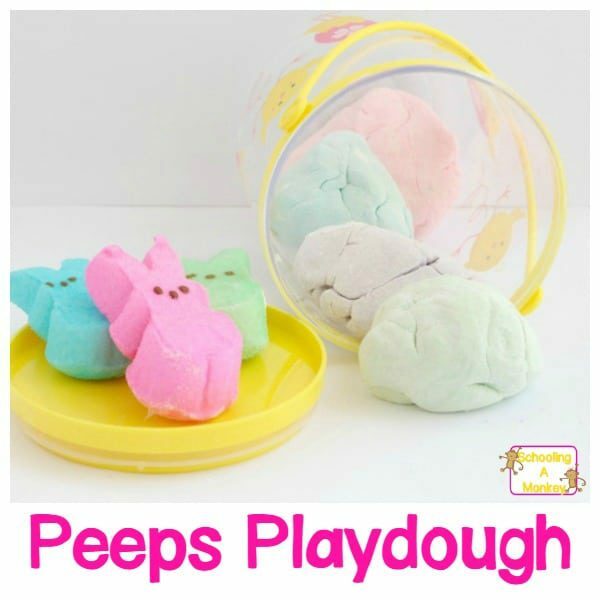 If you have a houseful of Peeps, bring them to school and make this Peeps playdough recipe! 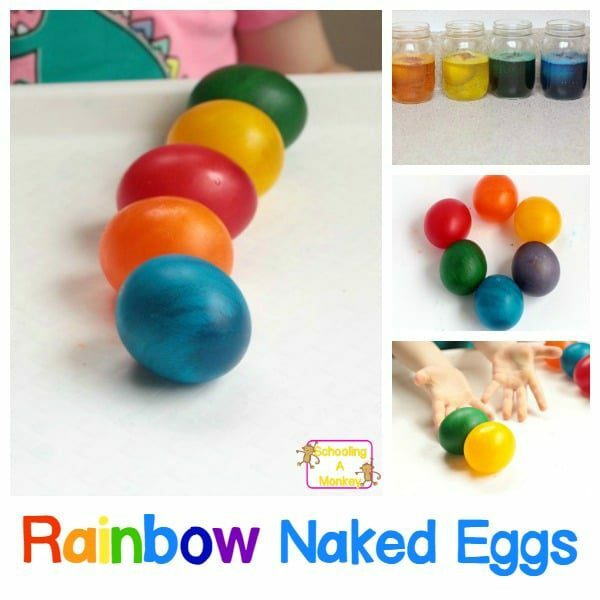 It’s a fun sensory experience and STEM activity perfect for children in Kindergarten and early elementary. The first step is to microwave your peeps. 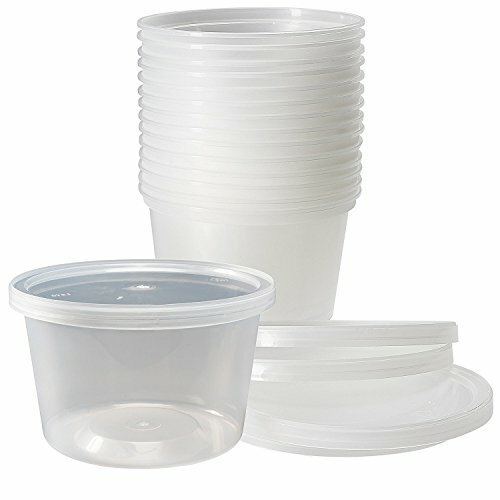 You want them to soften and get stretchy, but you don’t want them to burn. 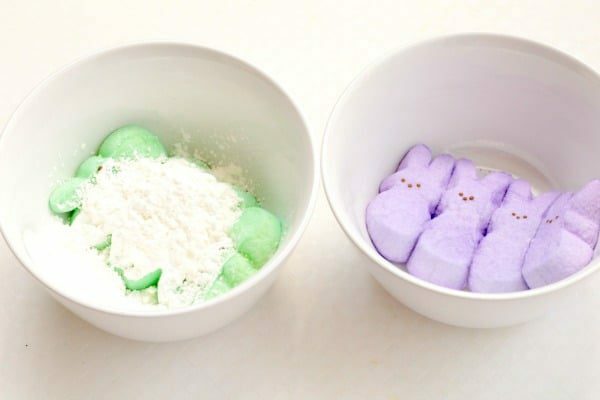 Cook your Peeps in about 30-second intervals until they are puffy, soft, and easy to stir with a fork. 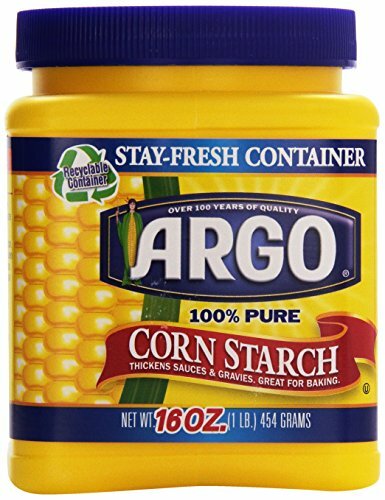 Add cornstarch. We used about a tablespoon per 3-4 Peeps. If your dough is too sticky, add more starch. If it is too stiff, add another melted Peep. Work the dough in your hands until it is soft, smooth, and no longer sticky. 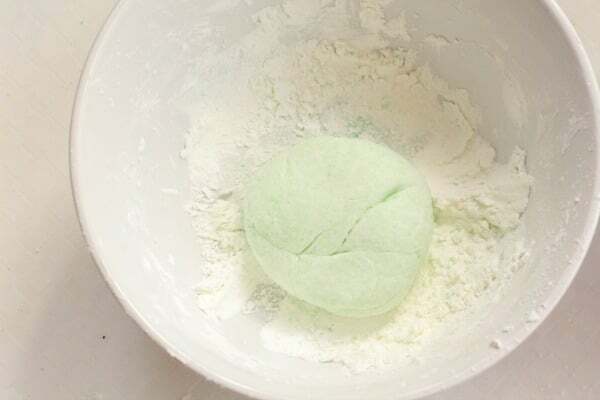 What you’re making is marshmallow fondant, which is commonly added to cakes in bakeries. Only this fondant is made using Peeps! Once the dough is no longer stick, kids can play with it just like regular dough. 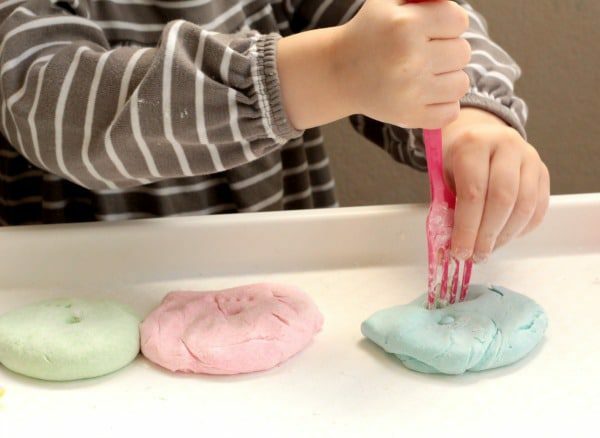 The Peeps playdough does tend to get stickier over time, so keep some cornstarch on hand to prevent it from getting too messy. Roll it out, shape it, squeeze it, and have fun!